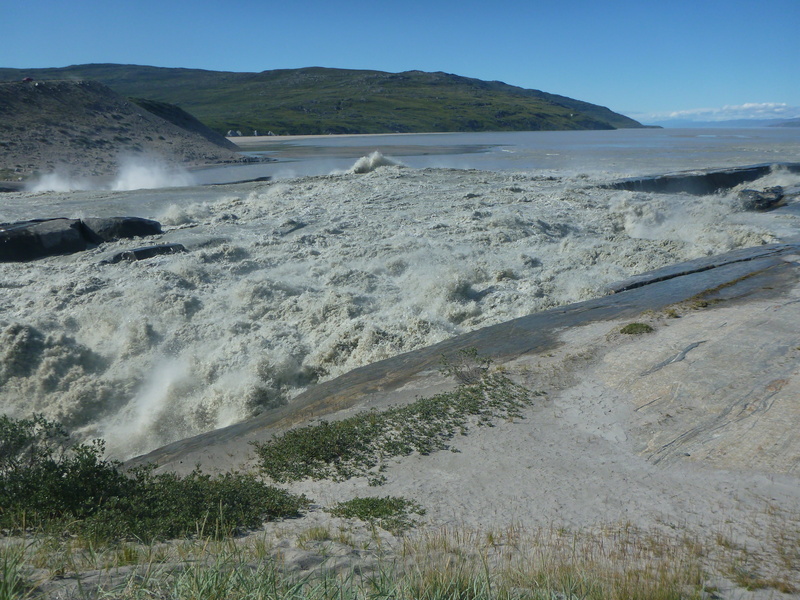 Glacial melt rivers, such as Kangerlussuaq’s Watson River, characteristically reach peak water levels during mid to late summer, when temperatures and melt are highest. In the past few days though, the Watson water level has risen high enough even to stun the locals. The river is flooding infrastructure and dividing the town. 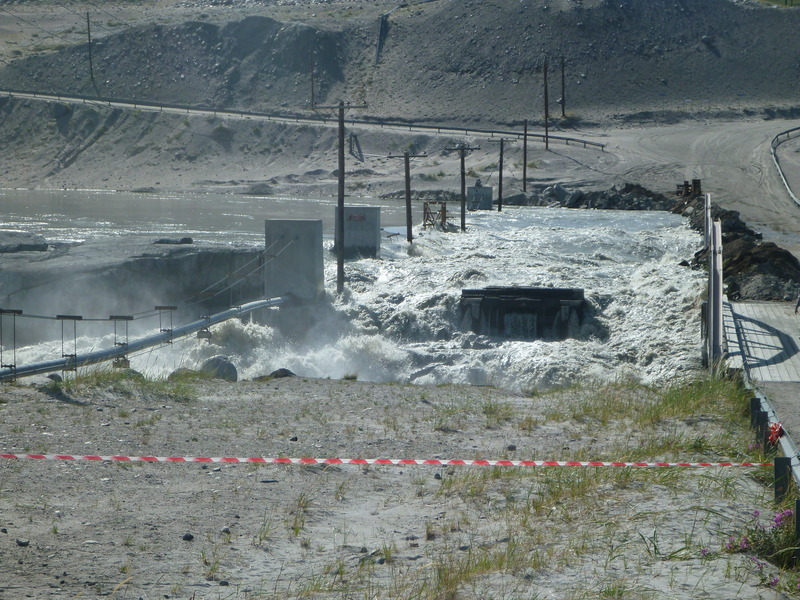 Yesterday afternoon the River submerged part of the pipe that brings water into town. Once the waters reached the bridge, the residents and restaurant on the other side of the bridge had to be evacuated. 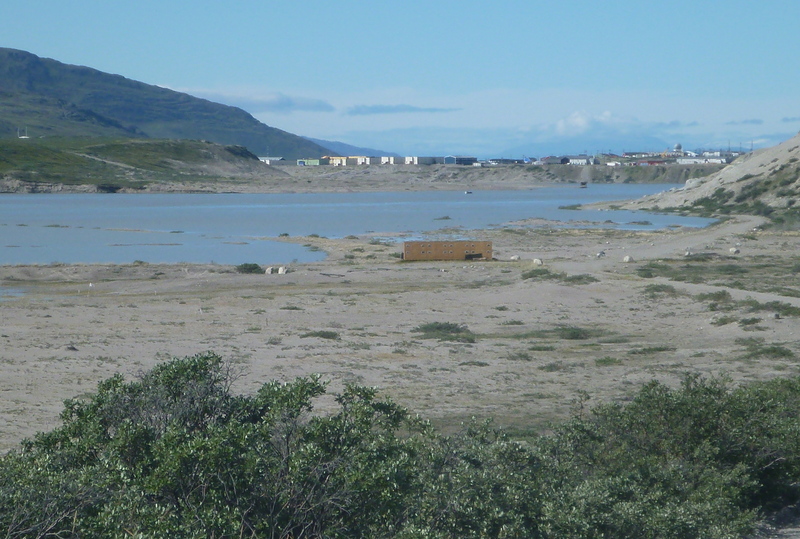 Basse Vaengtoft, who has lived in Kangerlussuaq for 17 years, told me that he had never seen the water reach as high as the pipe, and there is no telling how long the pipe will withstand the force of the water. To prevent the water from flooding (and taking away?!) 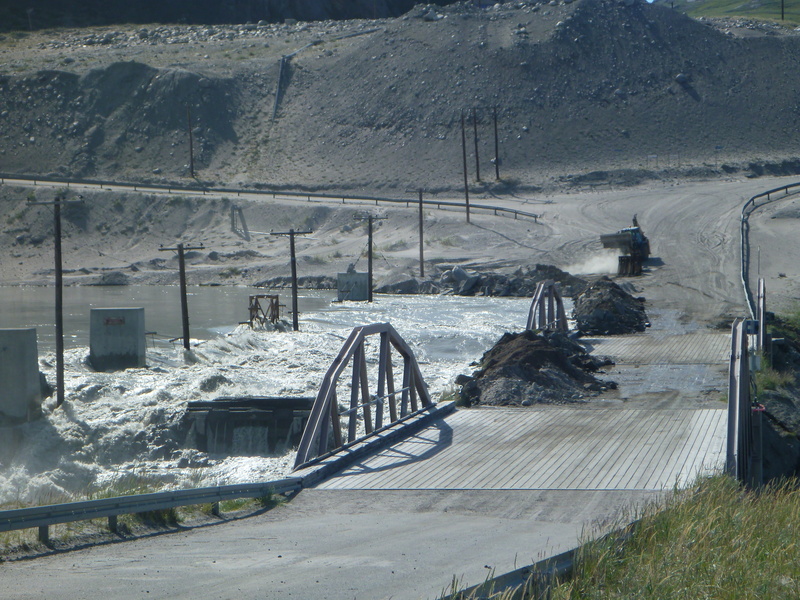 the bridge, they are piling up rocks on the upstream side of the bridge. 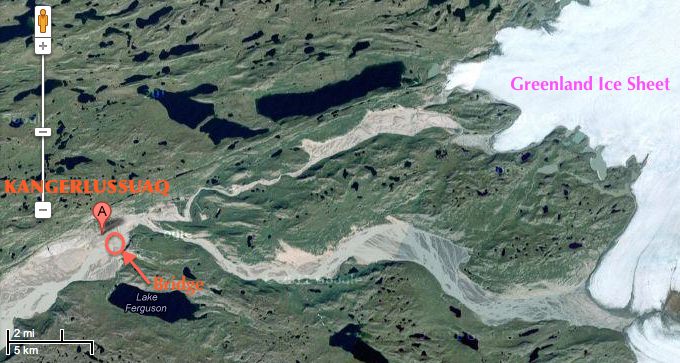 The bridge passes over a narrow part of the river that is normally quite channelized, but now is just a raging torrent. Upstream, the River is flooding part of the golf course and getting dangerously close to the club house. At this point, the threats to golfing are far from the top of people’s concerns. Amazing story, and sobering. The melt season has a long way to go. Great pictures. What a torrent! These are some of the great photographs which are included. It must have been really painful to stay there with a fear near the river. You provided a very detailled description of a very unique happening. The pictures you provided bring out the enormous and brutal energy of the masses of water. Is the melting described here a regular and well known phenomenon? Or can it be seen as a result of global warming? Actually I have never visited your area so I don’t know so much about the local ecosystem. But maybe I will go there next year, in case I find the time (and the money…).